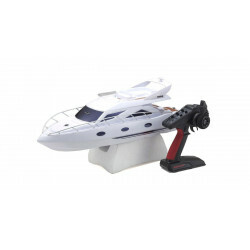 See the water spray as you cut through the surface at speed with the electric powered EP MAJESTY 600; the ultimate introduction to ultra-realistic scale radio control boating. 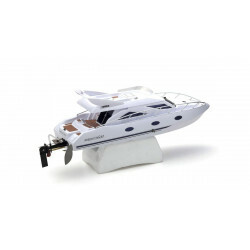 With maximum speeds of 25 km/h, the vacuum molded ABS resin hull provides excellent stability and easy control for beginners as it glides over the water. 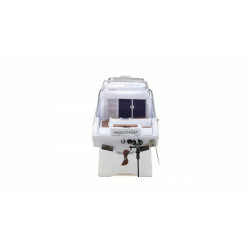 Beginner-friendly features include: auto-righting hull structure that returns it upright in the event of capsize; flip-up rudder that kicks up if it contacts any obstacles; a waterproof radio box that protects valuable electronics from water, and other safety equipment. 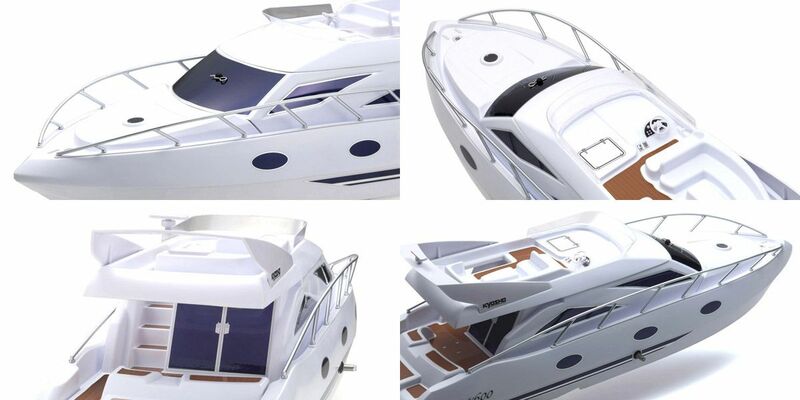 The finished hull requires no painting and decals are pre-applied to recreate this luxury European-style cruiser in a display-quality finish. 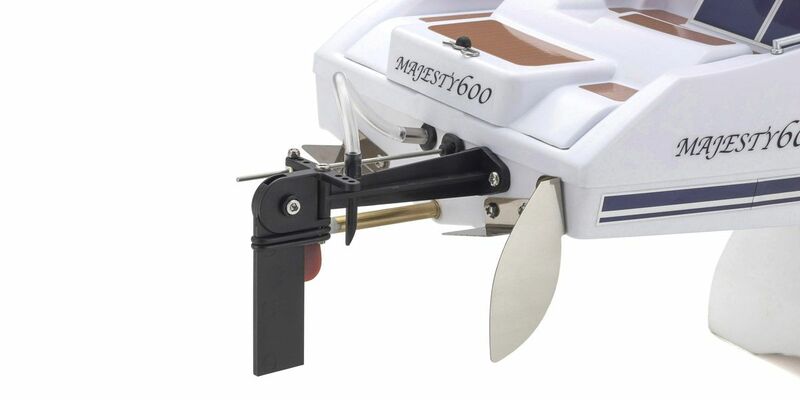 However this factory-assembled Readyset is most at home on the water so just add 4 x AA size batteries (sold separately) for the included transmitter and charge the battery for the motor and get out on the water to experience the power and grace of the EP MAJESTY 600! 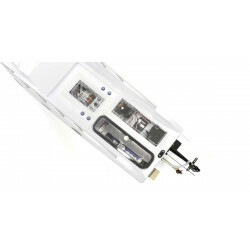 ●Fully assembled Readyset realizes top quality at a great value price. ●W-stepped V bottom hull produces exceptional acceleration; glide, turning stability, and wave resistance. 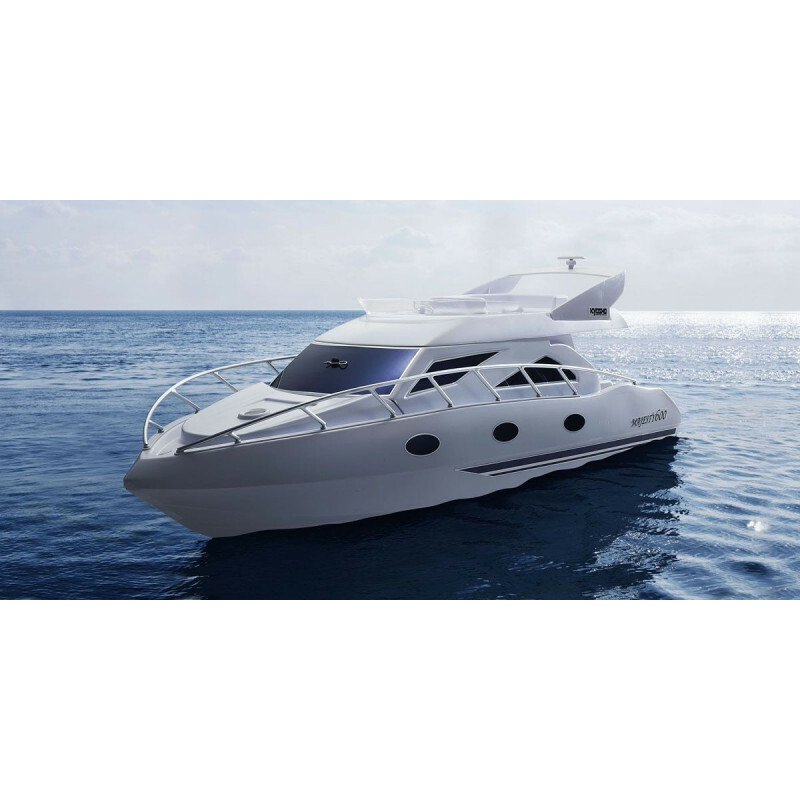 ●Foam floats inside the cabin provide auto recovery in the unlikely event of capsize. 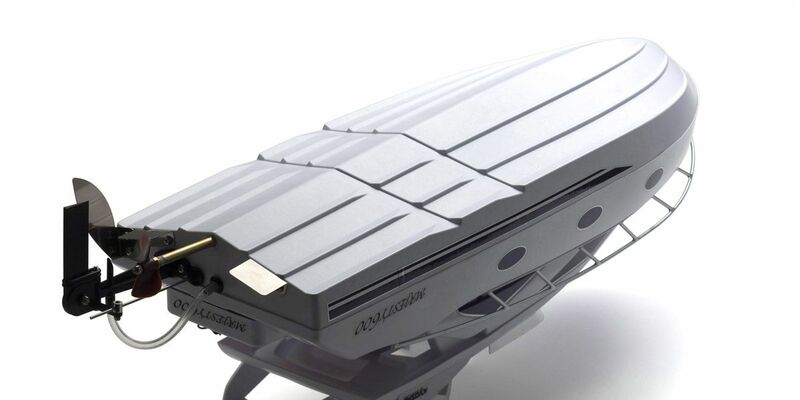 ●Flaps with independent left/right adjustment improve high-speed stability. ●Installed turn fin enhances turning stability. 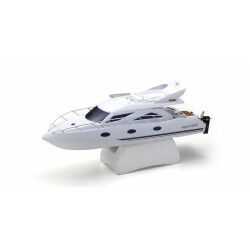 Highly detailed exterior components recreate a true sense of luxury cruising include a silver painted pulpit, and a fly bridge with lounge seats & cockpit with stairs connecting to the aft deck. 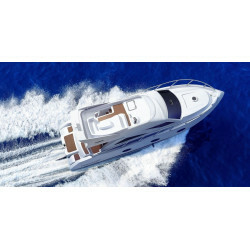 Unique hull design realizes superior high-speed performance and stability by positioning the center of gravity near the forward angle of the modified W-step and deep V of the hull bottom so that it moves with the point of contact according to the banking angle. 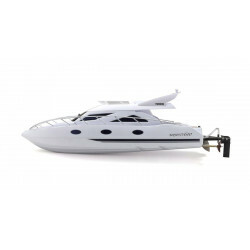 Equipped with flip-up rudder that protects hull from contact with obstacles, a turn fin that reduces drift and provides turning stability, and independent left and right flaps to adjust the running posture of the hull. Thrust line from the straight stern tube enables shallow takeoff angle and superior thrust efficiency. 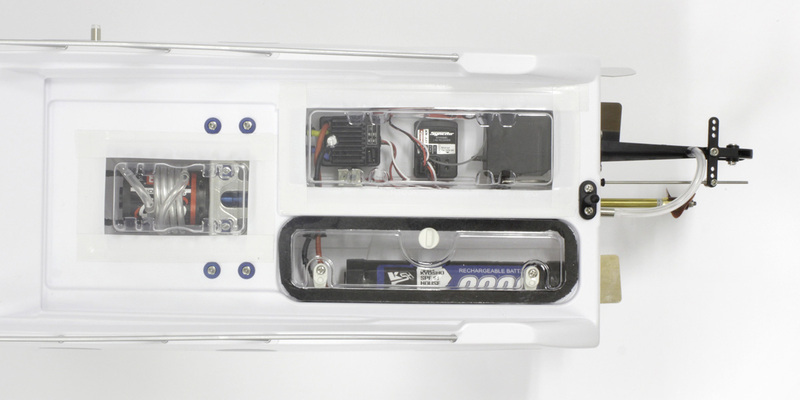 Built-in waterproof radio box protects the electronics of the waterproof speed controller and rudder servo from any water contact for double waterproofing security. 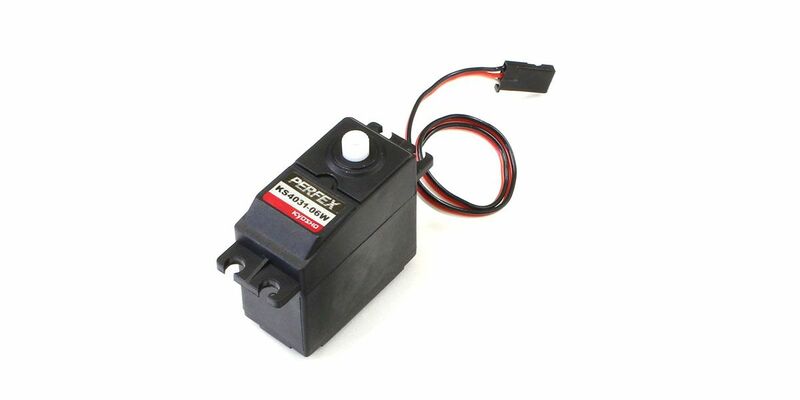 Pre-installed G20 motor is equipped with water-cooling jacket for effective heat dissipation. Delivers sharp acceleration. 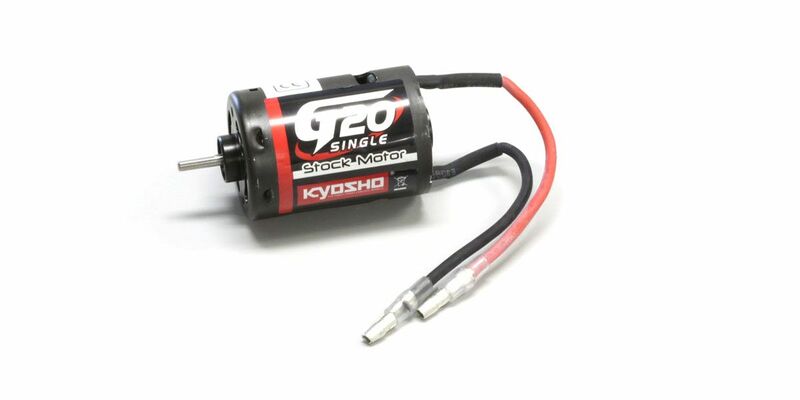 Large 60A capacity waterproof KYOSHO SPEED HOUSE KA060-91W speed controller with reverse function manages the performance of the water-cooled G20 motor. 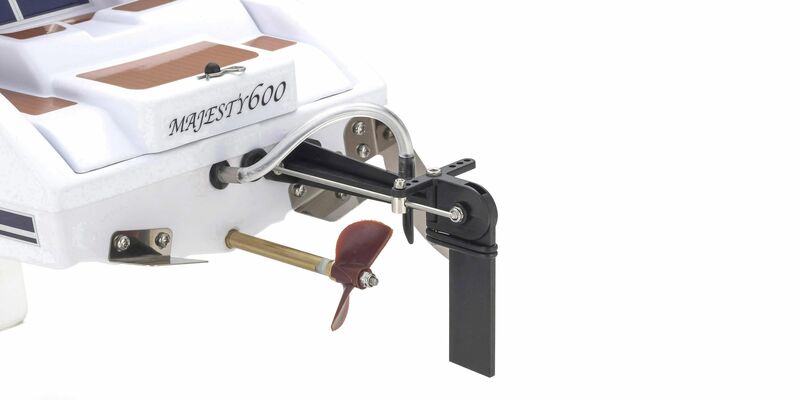 Pre-installed KS4031-06W waterproof rudder servo delivers plenty of torque for responsive rudder control. 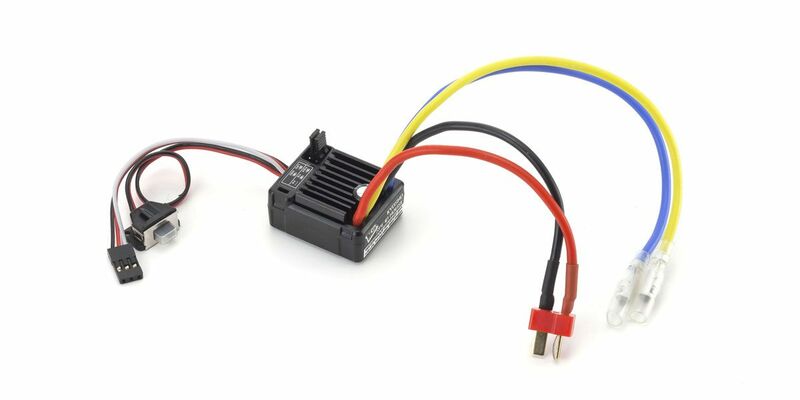 Included 2.4GHz Syncro KT-231P+ transmitter automatically manages frequency bands and features easy-to-use dial adjustments that allow precise setting to suit your control preferences. 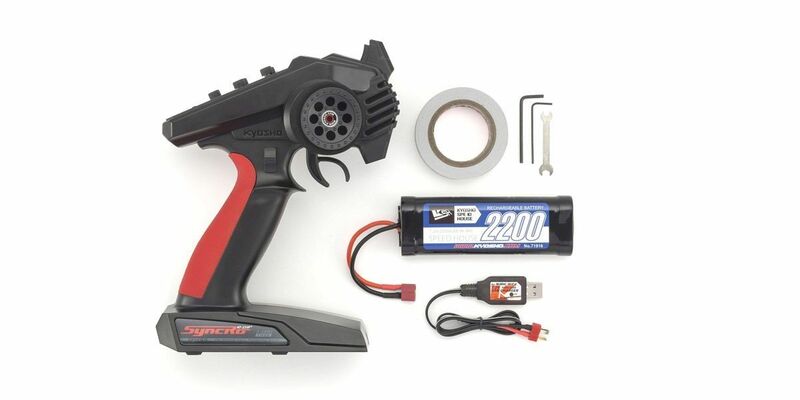 7.2V-2200mAh NiMH battery with USB charger are also included.